CyclingTips.com is produced out of Australia with all the latest cycling news from around the world from racing to new gear. DC Rainmaker.com is the best site for in depth reviews of the latest cycling and sporting gadgets and gear. CAZBike.org is the website for the Coalition of Arizona Bicyclists working to promote cycling issues in Arizona. RidingGravel.com is an excellent resource for all things Gravel and Adventure Riding. Check out their Tire Finder, it's awesome! MountainBikeRadio.com is the premier Podcast Network for any off road rider to listen to for great bike conversation. ​The-Spokesmen.com is a great podcast with a round table of cycling industry folks discussing the cycling news of the day. JoeBell.net is your go to site for custom bike painting. Want to spruce up your old frame and fork? Joe Bell is the best in the business. BikeRadar.com from bike news to bike reviews and how to's you can keep current on the latest cycling info here. I don't know about you but I love listening to podcasts! 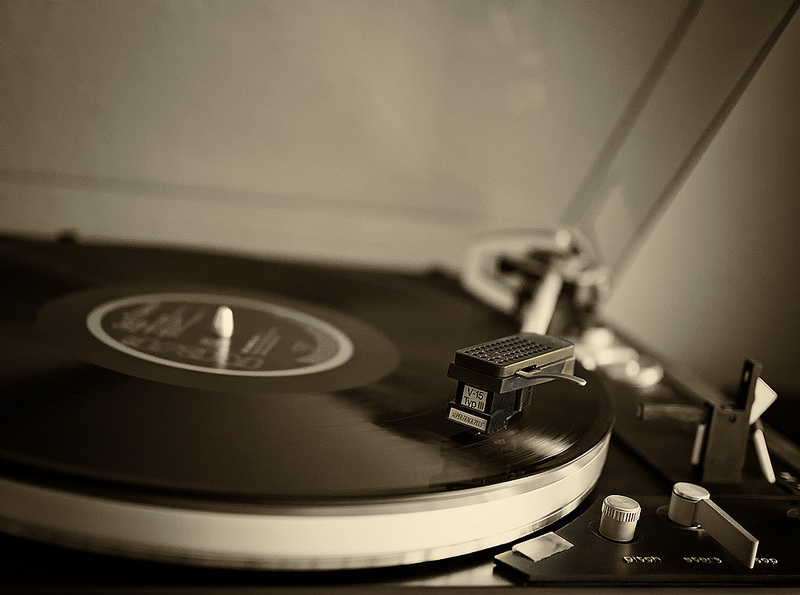 There are so many out there it can be hard to know what to listen to. The podcasts on the Cyclocross Network are all amazing! Whether you are a serious gear head all about cycle mechanics or a cyclocross racing fanatic, they've got you covered. Of course you can download their podcasts from iTunes, Google Play, and anywhere else you get your podcasts, but it is worth a trip to cyclocrossnetwork.com to check out the full back catalog. The Bike Shop Show is so much valuable technical bike mechanic information you'll feel like you're in a college course. Host Scotty D really knows his stuff! Cyclocross Today is devoted to hard hitting cyclocross racing coverage. From Cross Vegas to coverage of European cyclocross racing, this show will help you get your mud fix. SoCal Cross is packed full of info about local So. Cali. cyclocross events and riding tips and tricks. While Cyclocross Down Under is hosted by Australian Coach Jeff preaching the religion of cross in the out back. All together you have a body of content to quench your cycling thirst. You've probably heard all about riding what might traditionally been thought of as a "Road" bike off the smooth pavement. Wait, what? 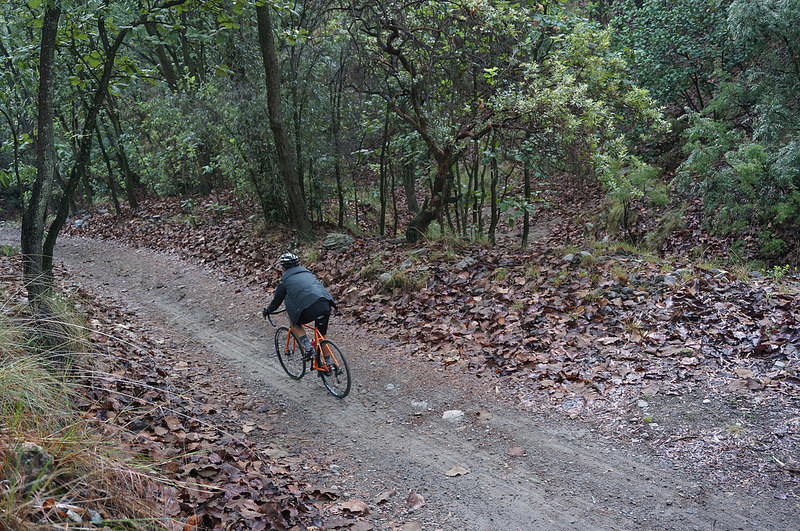 Why would you want to ride on gravelly, bumpy, dirty roads? Well if you've tried it you know why, it's just so darn fun! And with a whole raft of new gravel and adventure bikes, wheels, tires, and other products the gear head in all of us can't help drool a little. RidingGravel.com is one of the many great sites where you can find out all about places to ride and bikes to ride on. They have a great Gravel Tire chart showing over 75 different tires for riding off the beaten path. With so many bikes to choose from in Adventure segment it can be hard to make up your mind! Not to worry, there is even a great bike buying guide on the site. You'll need a ﻿bike bag﻿ out on your ride to carry your gear and once again there is a helpful list to help you decide which one is right for you. From bags to bikes to tires, it's all on RidingGravel.com. Nestled in the McDowell Mountain preserve lies the Pemberton Trail. Experience the beauty of the Sonoran Desert's flora and fauna. Don't be surprised to see snakes, spiders, coyotes, desert tortoises and even the occasional dear. This trail has a few technical spots but overall the terrain lends itself to fast rolling and fun riding! 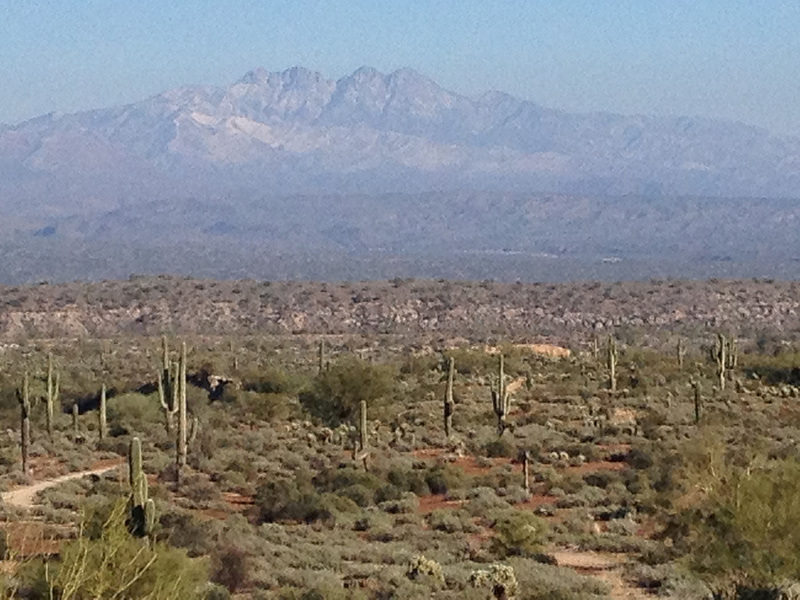 And with the majestic Four Peaks mountains in the distance, the views can't be beat. Bikes equal freedom, fun and fitness.